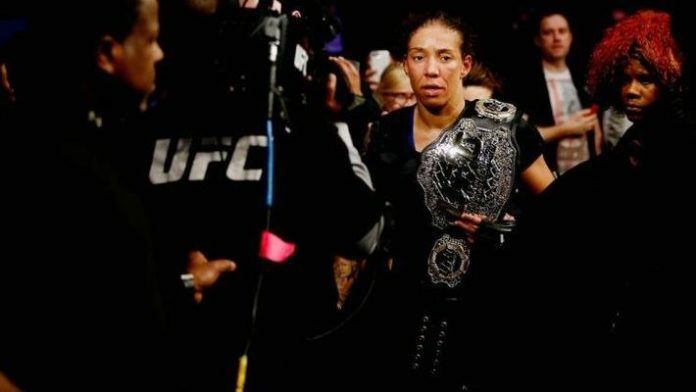 Its been over a year since mixed martial arts (MMA) fans have seen former UFC women’s featherweight champion Germaine de Randamie compete. “The Iron Lady” won the inaugural strap back in February of 2017. She defeated Holly Holm in a controversial unanimous decision win. It marked the Dutchwoman’s third-straight victory inside the Octagon. However, after winning the title, there was some speculation about “GDR’s” desire to fight Cris Cyborg. Initially, she said she had some injuries to mend after her fight with Holm. She later released a statement refusing to fight Cyborg, due to her past issues with Performance Enhancing Drugs (PEDs). As a result, the UFC stripped her of the championship. De Randamie has been scheduled to fight twice since then, but has pulled out of both due to injuries. Now, she’s slated to make the walk to the Octagon this weekend (Sat. November 10, 2018) against Raquel Pennington. “No matter what people say, I still fought the fight,” de Randamie said. “I’m still proud of the fight. But I don’t – honestly, I don’t care about any belts. I’m 10 times world champion in kickboxing. I’m European champion multiple times, I’m Dutch champion multiple times. I have enough belts. What do you think about Randamie’s comments?